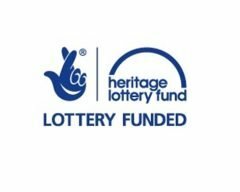 Funded by the Heritage Lottery Fund (HLF), Skills for the Future was initially a two-year project. However, because of the project’s success it was fortunate enough to gain an extra two years’ funding, enabling it to become a four-year project. The aim of the project was to close the gap in the heritage sector between employment opportunities and the skills needed to fill these roles. Often people have the suitable qualifications but no ‘on the job’ training or experience. This project helped its trainees to create an all-round portfolio, enabling them to be able to apply with confidence for jobs in the heritage sector. 18 trainees have now completed their one-year traineeships with various host organisations around Peterborough, where they received full training plans and plenty of experience. The hosts included Peterborough City Council, The Wildlife Trusts, Sacrewell, Burghley House, Nene Park Trust, Vivacity and PECT and the diverse roles comprised Trainee Tree Officer, Trainee Wildlife Officer, Trainee Gardener, Trainee Forester, Trainee Ranger, Trainee Heritage Officer and Trainee Forest Officer. The Skills for the Future placement at Peterborough Museum has undoubtedly been the best job I have ever had – every day holds something new! The placement has been well designed in order for me to gain all of the crucial work experience heritage jobs demand. I have enjoyed every minute of my placement with Skills for the Future, it has given me the chance to acquire the experience I lacked and expanded upon my skills and knowledge of the heritage sector. Skills for the Future has provided a gateway to my future career. I’d go as far to say that in the ‘however many years’ I’ve been in the local authority now – it’s been one of the best opportunities that I think I’ve ever had to be able to give young people a start out in life and an opportunity, and we’ve never done that before in any shape or form (that I’m aware of). And I’ve said it to senior members of the City Council, it’s one of the things I’ve been most proud of to be part of because quite often with the day job you don’t get that reward of seeing someone able to move on and that opportunity for them and we’re investing in that sector. I think that’s the bit that comes out of this project which we can’t normally do in any other way. – Darren, Peterborough City Council.